The 1st District encompasses northeast Arizona. Congressional representatives make $174,000 annually and serve two-year terms. Throughout my life, as a police officer, small business owner, and public servant, I have worked to better the lives of those in my community. I am inspired when citizens come together to effect positive change. We need that spirit in Washington. Commonsense, bipartisan policymaking can have a positive impact on the future of our country. Unethical practices run rampant right under the American people’s noses and I am committed to exposing this and cleaning up Washington by ending perks, extending the lobbying ban, freezing pay, and banning the use of tax dollars for first-class flights. Our government officials must be held to the highest ethical standards, but it is clear they are not. I am proud of the work my staff and I have done throughout my first year in Congress, including securing needed funds for a veteran's home in Flagstaff and flood control projects, and investing in rural communities where businesses and students are struggling to compete with large municipalities. I will always work with the President, regardless of party, to advance the interests of Arizona, just as I will oppose his - or her - agenda when it is bad for Arizona. While I agree with President Trump’s goals of draining the swamp in Washington and reducing prescription drug prices, I do not think progress has been made in these areas. Numerous ethical scandals of this Administration, such as those of former EPA Administrator Scott Pruitt and HHS Secretary Tom Price, continue to plague Washington. Also, Arizona seniors continue to face high prescription drug prices without a real plan from this Administration to bring to bring them down. Reforming our immigration system and securing our borders are both critical issues that Congress has failed to address for far too long. There is no reason that Republicans and Democrats cannot come together to pass bipartisan legislation, like the Senate did in 2013, that provides DREAMers with certainty, invests in 21st century border security technology, and overhauls the system to encourage legal immigration to our country. We must make responsible changes to government spending that do not hurt Arizona families and refuse to pile on more debt through irresponsible tax giveaways. I am working to eliminate duplicative and wasteful government programs and support a Balanced Budget Amendment that protects Social Security and Medicare. More importantly, I voted against the misguided tax plan that will add $1.9 trillion to the national debt, while most of the benefits go to multinational corporations and the wealthiest Americans. Congress is dysfunctional. The voice of the American people takes a backseat to partisan politics. In the next Congress, I will vote for leaders who are committed to making the House more open and transparent and giving the American people a voice in Washington. I will assess all the candidates running, but I will support those that demonstrate respect for the institution of the House, create a clear, transparent process to make sure bills properly go through the Committee process, and allow members of the House to bring amendments to the floor. Our health care system is broken. Rural Americans lack access to quality care and insurance premiums and prescription drug prices are going through the roof for Arizonans. Congress has an obligation to fix this problem. We must protect Medicare for our seniors and Medicaid as a health care safety net for families. I am working with my colleagues in the bipartisan Problem Solvers Caucus to stabilize the health insurance markets. As the Chair of the Blue Dog Special Task Force on Rural America, I am leading efforts to expand telemedicine options and bring down health care costs through competition in the marketplace. Unfortunately, this Administration has been trying to sabotage insurance coverage for families and make it harder to people to access care. Climate change has a real impact on Arizona communities and agricultural producers. In our state, the threat of climate change to our water supply is always significant. Every five degree increase in temperature results in 15 percent less water in the Lower Colorado River Basin. I have been working for decades, as both a member of the Arizona Legislature and as an advocate in the Verde Valley, to invest in clean energy options that can support our power grid and reduce our carbon emissions. We need to invest in technologies that will turn back the damage we have caused to the environment and modernize our energy production. We need to act for our water supply, agriculture community, forests, and communities of all sizes. As a former law enforcement officer and homicide investigator, I have seen firsthand how important it is to have a complete and independent investigation that provides answers. With so many questions about the impact of Russia’s meddling in our democratic elections, it is important that we get to the bottom of this investigation. To call it a witch hunt is to undermine the independent work of our law enforcement community, and is irresponsible. I am deeply concerned by the implementation of the Administration’s trade policies. Trade with our international partners is critical for Arizona’s economy, and a trade war will only hurt Arizona’s agriculture producers and manufacturing companies. 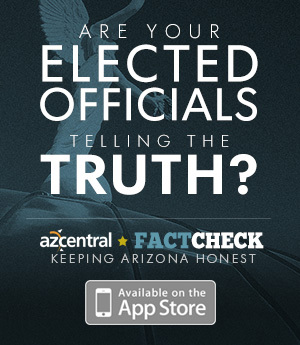 This ‘shooting from the hip’ approach is bad for Arizona’s economy and future. Congressional leadership should immediately bring up legislation to give Congress a check on this Administration’s harmful tariffs and reckless trade policy. As a police officer and homicide detective, I saw the horrifying effects of gun violence in our country. I have stood in puddles of blood looking at the lifeless bodies of children, senior citizens, and entire families whose lives had been cut short, and I have had to tell too many parents that their children were killed in a senseless tragedy. Parents should be able to send their children to school, church, concerts, movies, or even out their front doors without fearing they will be victims of gun violence. Congress must immediately begin to have a serious discussion about the violence plaguing communities across America, and we must take action to keep deadly weapons out of the hands of those who will try to do us harm. We close the gaps in our mental health treatment system, allow the CDC to do necessary research, invest in community-based violence prevention programs, and bolster law enforcement by strengthening our background check system. While aspects of our economy have grown at a strong pace over the last few years, working families, especially in rural communities, are falling further behind. Arizona families tell me they are finding it more difficult to afford health care, prescription drugs, child care, and housing. For our nation to achieve long-term economic growth, we must invest in 21st century broadband technology, transportation and water infrastructure, health care and education, in urban communities, in rural Arizona, and across rural America. Arizona has greatly benefited from trade with our North American partners. Arizona has a trade surplus with Mexico and the First Congressional District was recently inducted into Canada’s Quarter Billion Club for doing more than $250 million in trade with Canadian businesses. Trade is critical for our economy, and we should work to strengthen and improve these trade deals. I have broken with my party on several high-profile issues during my time in Congress, but I think I am most unique by my approach. I am always willing to put the interests Arizona’s First Congressional District before my party. I have been called an “Arizona Maverick” in the House for my willingness to do what is right for our state and stand up to my party when it is necessary. A prime example of this is my co-sponsoring of Congresswoman Murphy’s Balanced Budget Amendment, which specifically protects Medicare and Social Security, while making sure we are protecting the financial future of our children and grandchildren. Now more than ever, the American people need elected officials who hold themselves to the highest ethical standards. There is no room in Washington for those who only want to enrich themselves at the expense of their constituents. That is why I introduced legislation to hold our elected leaders accountable and end special perks for members of Congress. If we want to change Washington, we need to elect Americans of the highest character and reputation. Former Congresswoman Gabby Giffords is my biggest political role model. As a member of the U.S. House, Gabby was a tireless worker for her district and she was always willing to do what was right for Arizona. She was not afraid to break with her party when it was the right thing to do for Arizona and her district, even if that meant it wasn’t popular. Today, she embodies strength, perseverance, and positivity. She is a genuine Arizona hero.